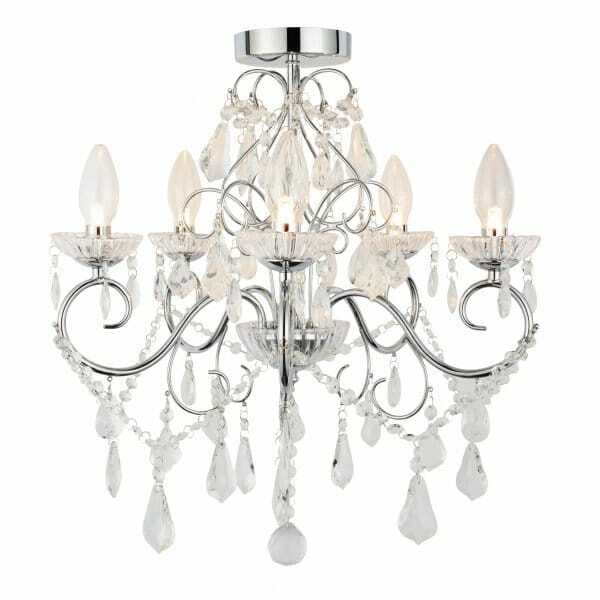 A decorative 5 light semi flush bathroom chandelier in polished chrome finish with clear glass droplets. The light is IP44 rated making it safe for use in bathroom zones 1 and 2. Ideal for any setting and a great feature light for any bathroom.